Spring is in the air and I am pouring over gardening books. 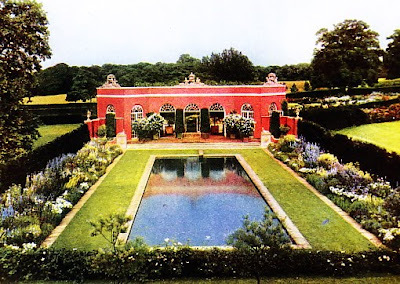 One of my favorite all-time English garden designers from the early 20th century is Norah Lindsay. Her work is indeed rapturous. In fact, when I set out to write about her, I began looking at pictures to post and two hours later I had not one picture or a single word written! I finally decided to scan three random gardens to post. Including this public commission for a parterre garden at Rhodes House, Oxford University. One of Lindsay’s greatest supported was Sir Philip Sassoon. The pair became great friends and Lindsay did a series of gardens for him including the pool house at his Trent Park estate. Sassoon used Trent Park to entertain between May and July so a pool was a must. Her roster of clients reads like a Who’s Who, including various prince and princesses of defunct European countries as well as the Duke of Windsor. Her little black gardening book included names like Guinness, Tree, Mosley, Churchill, Maugham and Astor. 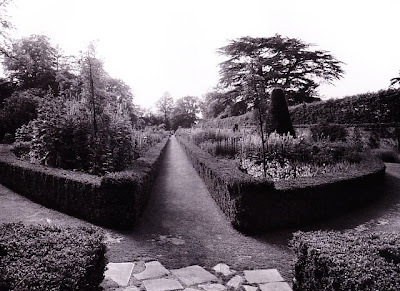 Nancy Astor hired Norah to design the gardens at Cliveden, including the Main Formal Garden (below) with its boxwood boarders. 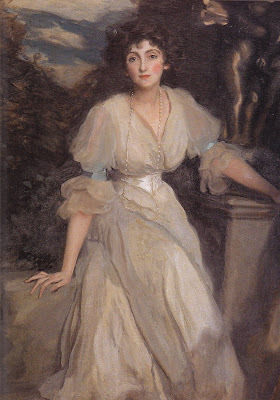 Lindsay was a frequent guest of Edith Wharton where the two women shared gardening ideas and love of books. Another close friend and gardener was Vita Sackville-West. 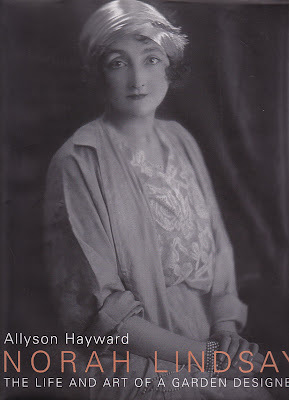 Allyson Hayward recently published the definitive book on Lindsay, Norah Lindsay: The Life and Art of a Garden Designer. Frances Lincoln, one of the great purveyors of garden tomes, published the book. If you love gardens and England between the wars and great houses and juicy gossip, do check out Norah Lindsay. Great post. Thanks. Currently designing a country garden. You have convinced me that I should look at her in more detail. I had not heard of her work before, so your post was most enlightening. Thank you. Lindsay. From all reports she was a most sympathetic personality, romantic and mercurial. Thanks for shining your light upon her! Thank you for including Norah in your blog.I hope your readers will fall in love with her story as I did during my ten years of research. I often suggest to readers, that while reading the book, flip back and forth between the text of the book and the appendix titled, Circle of Friends. It helps you more fully understand the 'cast of characters' and the social and political history of Norah's era. One little comment about the photos posted on your blog - the garden image that is labeled Rhodes House is, in fact, Blickling Hall in Norfolk. It is owned by the National Trust and is open to the public. 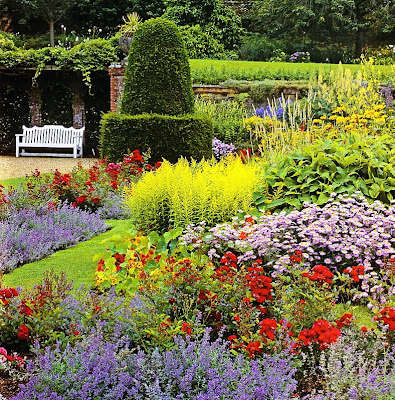 If you are planning a trip to England there are other public gardens listed on the Norah Lindsay website for all to visit and enjoy. Again, many thanks for helping raise the awareness of Norah Lindsay--from Norah's biographer, Allyson Hayward. It says right there in large letters that the garden is Blickling Hall! Reading is fundamental!! I can't tell you how much I adore this book...what's next...inquiring minds want to know?